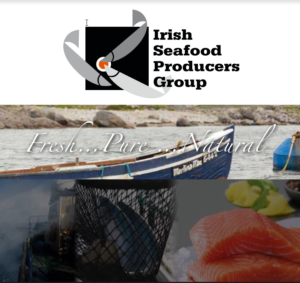 For the Irish Seafood Producers Group, two factors are paramount to maintaining the superb reputation of Irish Organic Salmon: quality of the product and quality of the process. It is our salmon farmers ongoing commitment in these areas that has led to ISPG Irish organic salmon’s reputation around the world as being in the very top tier of quality seafood. It is our pleasure to introduce the launch of the Origine Connemara Organic Salmon product with our partners from Transgourmet in Switzerland . We are proud to confim that ISPG Ltd will be the exclusive supplier for this new product, and that’s just the beginning. Take a moment to discover the storyline http://www.transgourmet-origine.ch/fr/storybook-connemara-saumon-bio Visit their website http://www.transgourmet-origine.ch to discover more about Origine Connemara Organic Salmon. Thank you to..
ISPG is a verified member of the Origin Green Sustainability Programme. Created by Bord Bia, Origin Green is Ireland’s national food sustainability programme. It brings together the entire food industry with a common goal: sustainable food production. That means the production of safe, nutritious food within a viable industry that simultaneously protects and enhances the natural environment and the local community. Crucially, Origin Green is about measuring and improving how we do this on an ongoing.. Visiting French customers in the north of France.